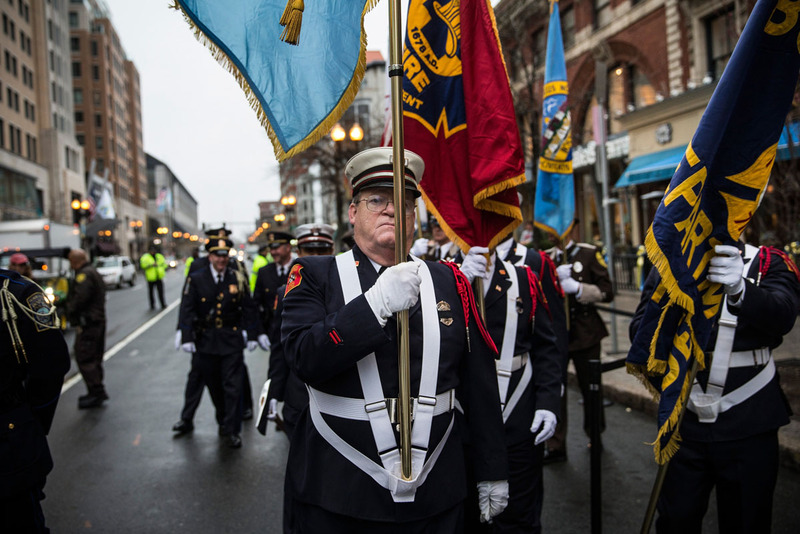 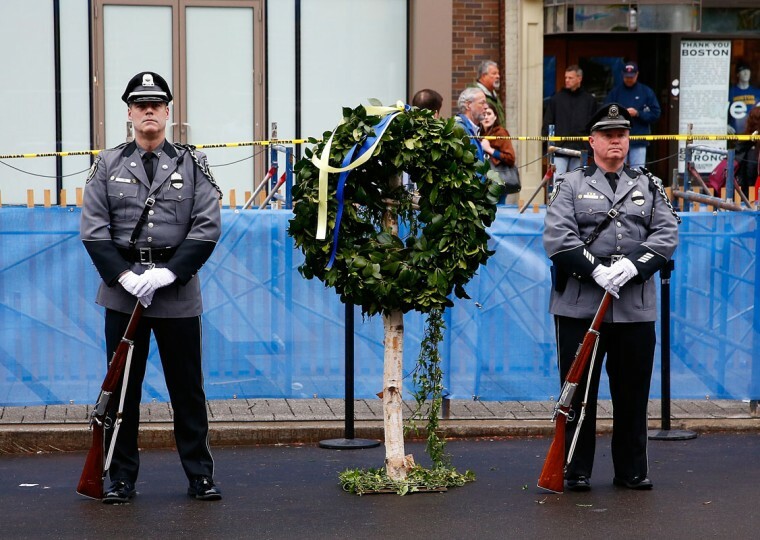 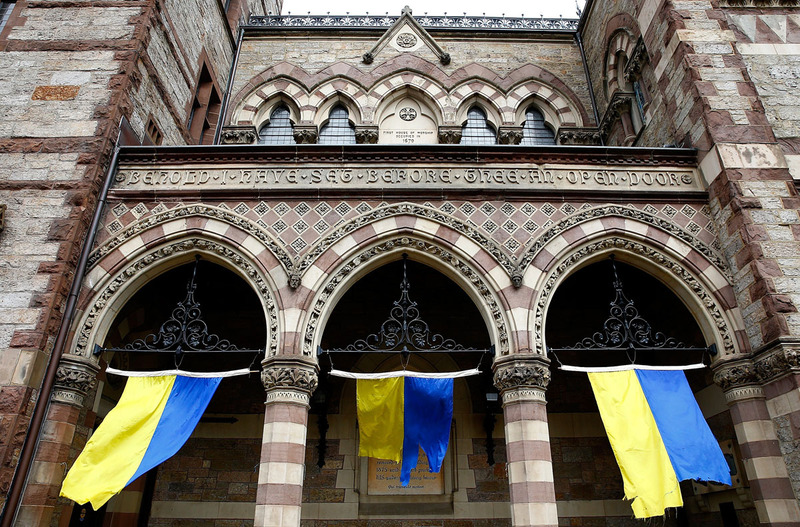 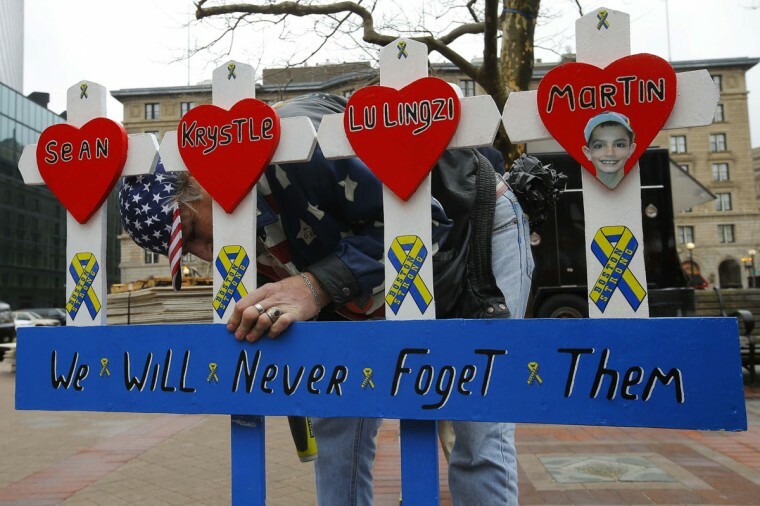 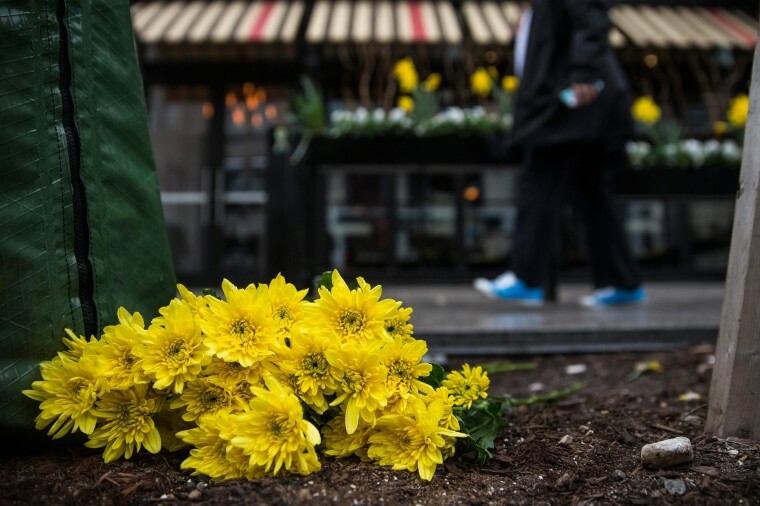 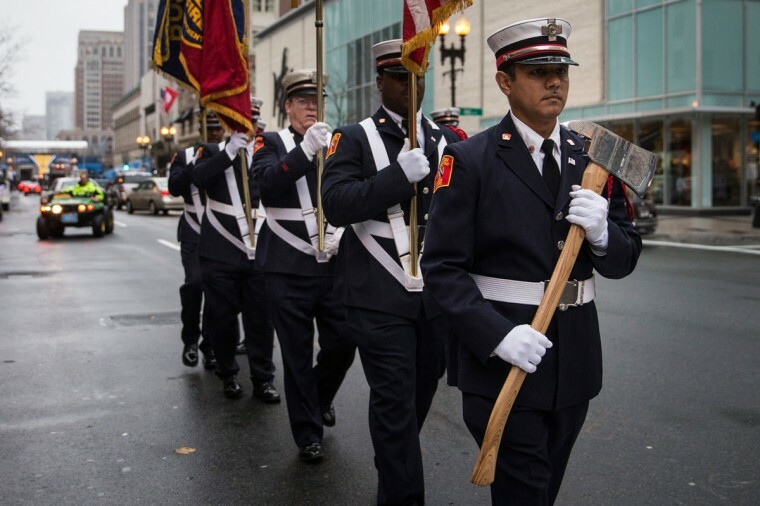 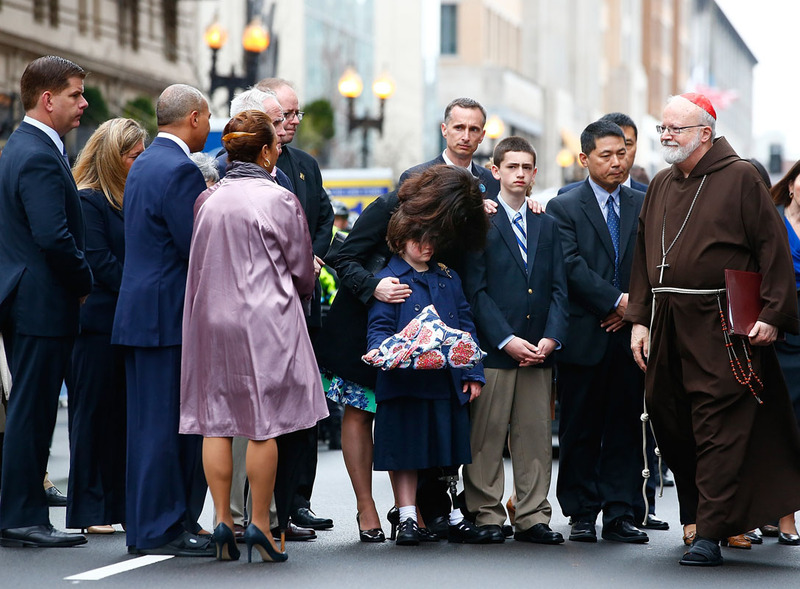 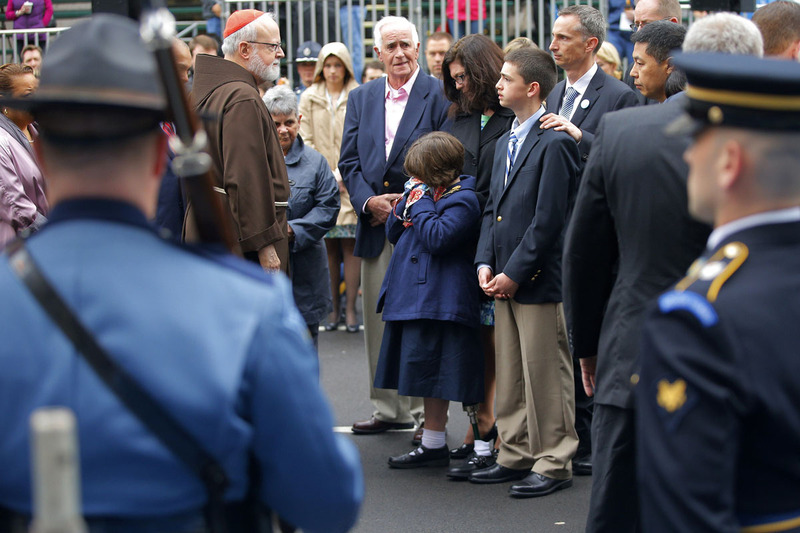 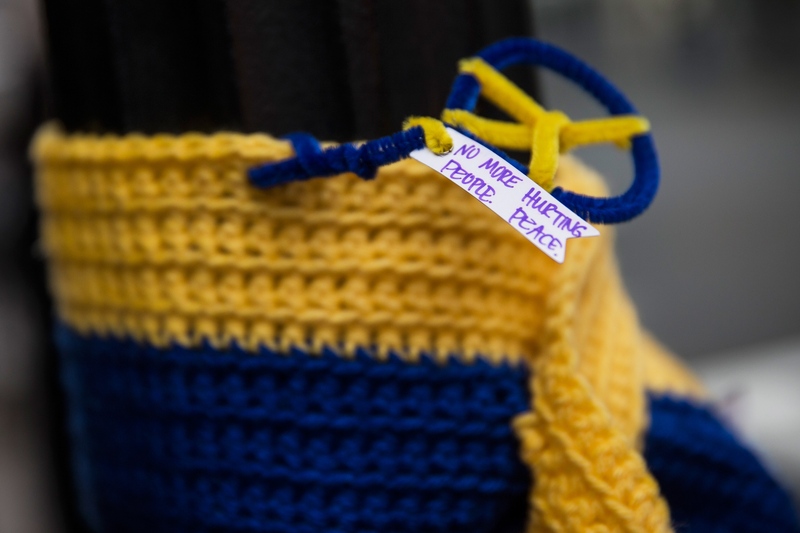 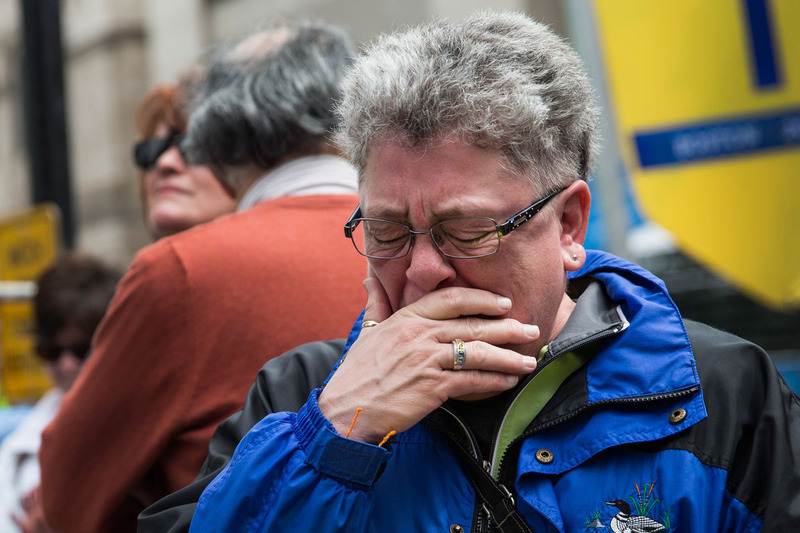 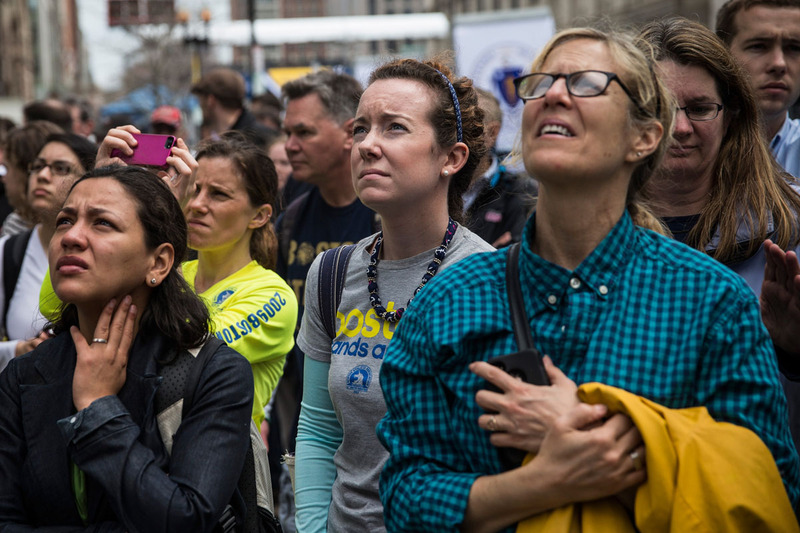 Boston began its memorials of last year’s marathon bombing attack, which killed three people and injured 264, on a quiet note Tuesday, with Mayor Martin Walsh and Cardinal Sean O’Malley visiting wreaths left at the spots where the two bombs went off. 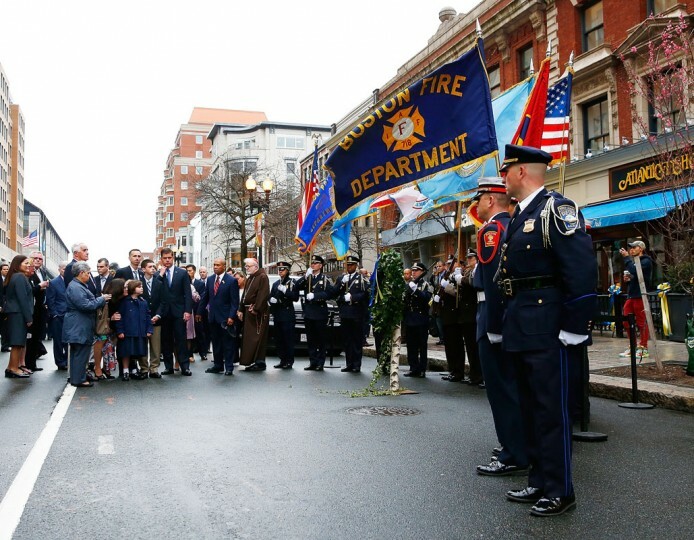 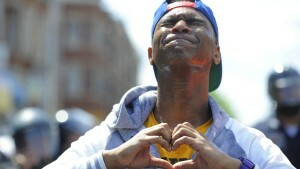 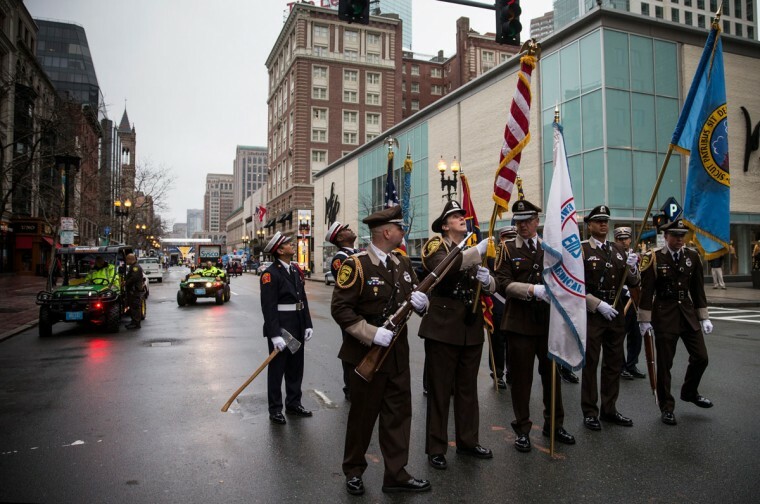 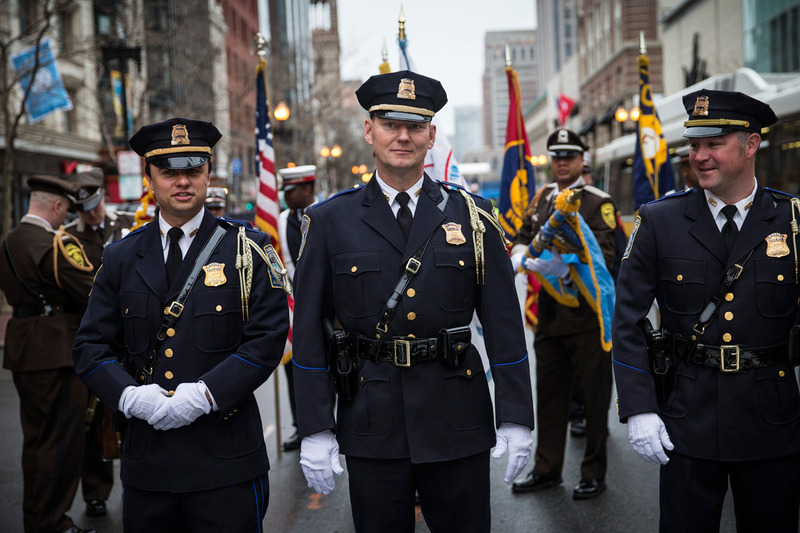 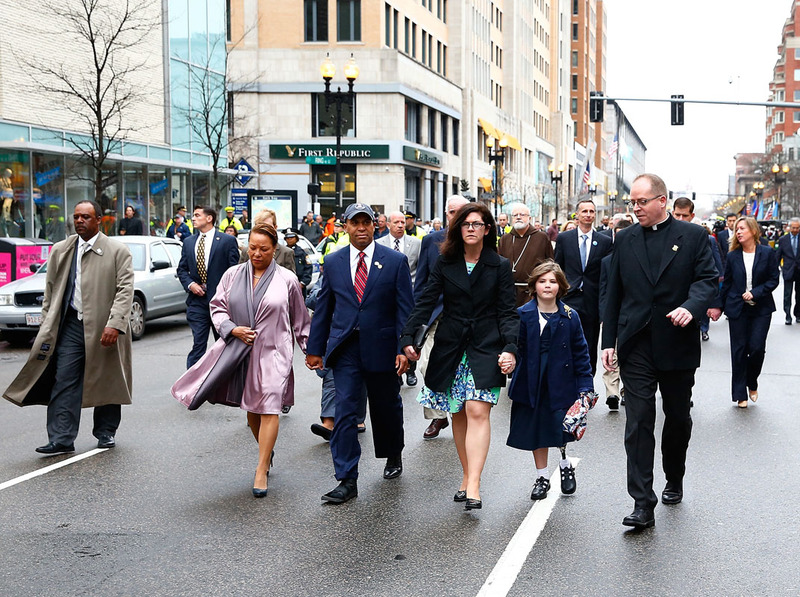 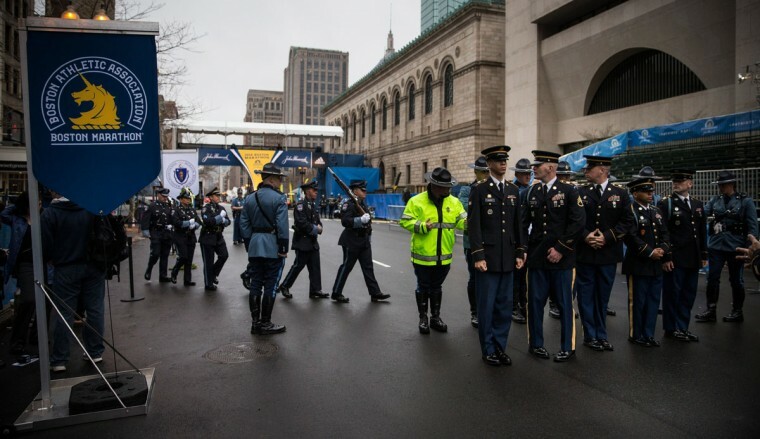 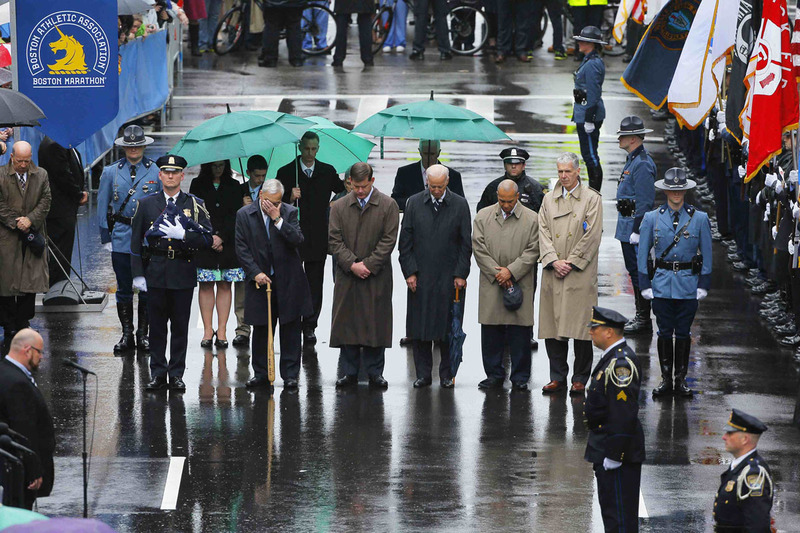 Accompanied by an honour guard of local police, a group of dignitaries that also included Massachusetts Governor Deval Patrick and the family of the youngest victim, eight-year-old Martin Richard, stopped twice along Boylston Street near the race’s finish line. 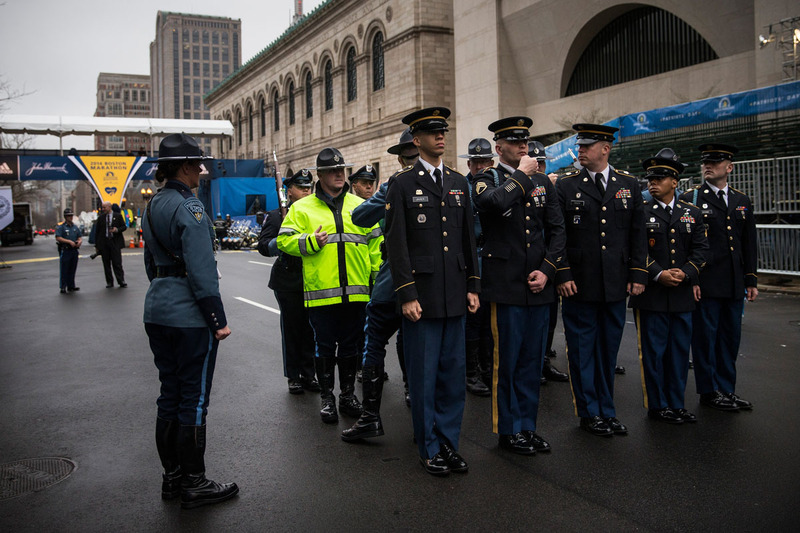 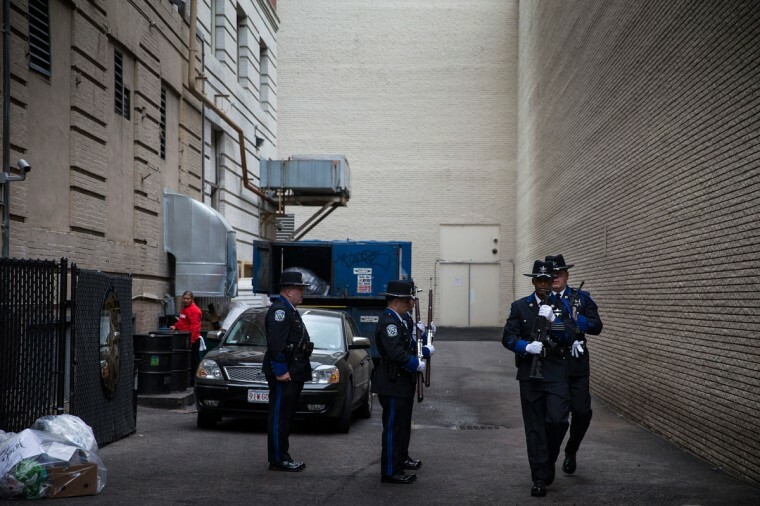 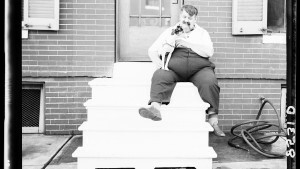 They embraced and spoke softly as bagpipes played, but made no public remarks ahead of a memorial where U.S. Vice President Joe Biden is due to speak. 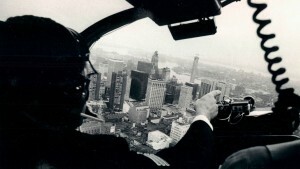 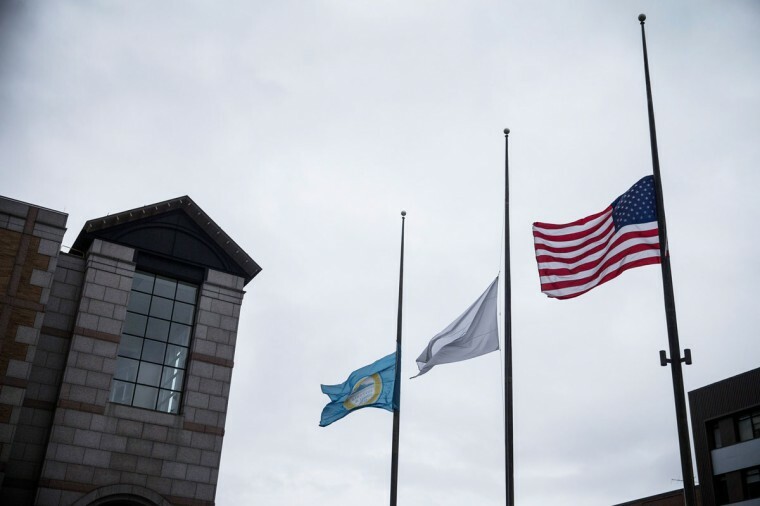 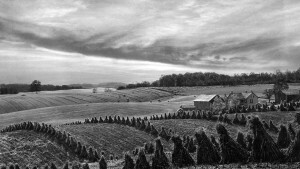 After the memorial, which also will feature musical performances, the city will observe a moment of silence at 2:49 p.m. EDT, the time the first bomb went off. 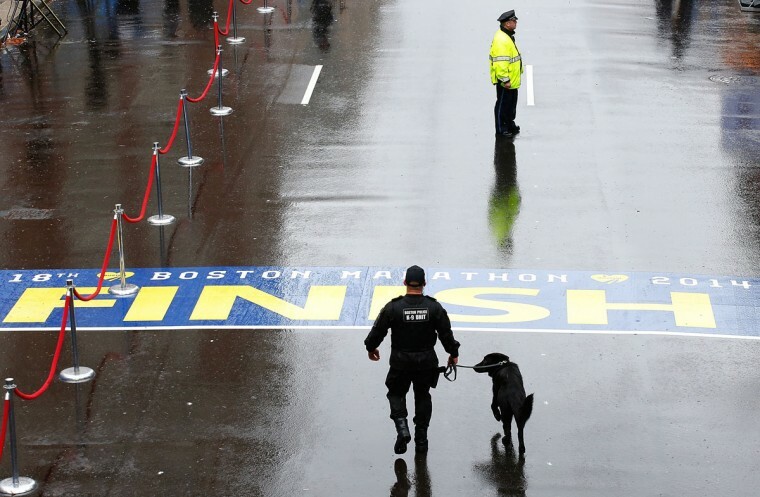 The April 15, 2013 blasts tore through the crowded finish line of the world renowned race, injuring spectators, volunteers and athletes, in the worst mass-casualty attack on U.S. soil since the September 11, 2011 attacks that killed 3,000 people. 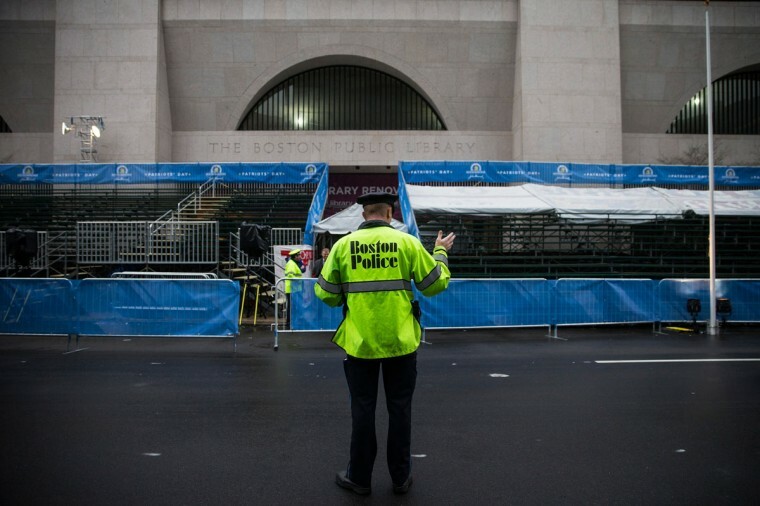 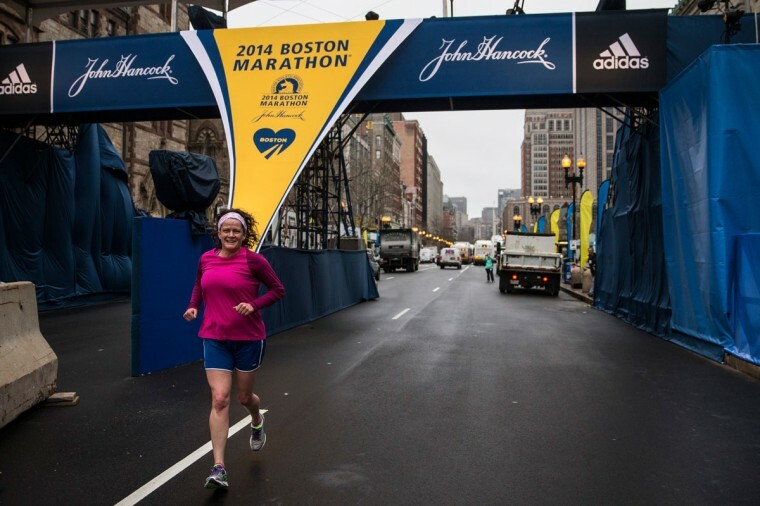 This year’s race, set for April 21, will take place in an environment of heightened security with the 36,000 runners and tens of thousands of expected spectators facing new restrictions, including bans on carrying backpacks into the race corridor. 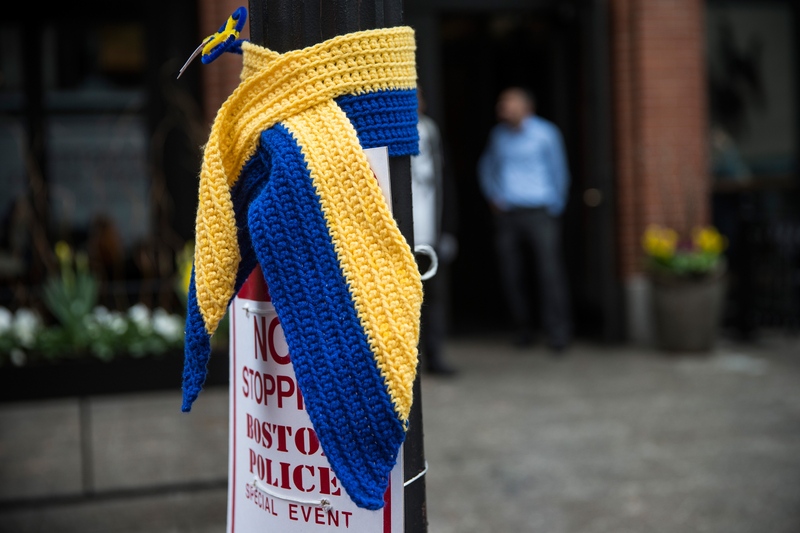 Federal prosecutors say that a pair of ethnic Chechen brothers, Dzhokhar and Tamerlan Tsarnaev, carried their homemade pressure-cooker bombs to the finish line in backpacks. 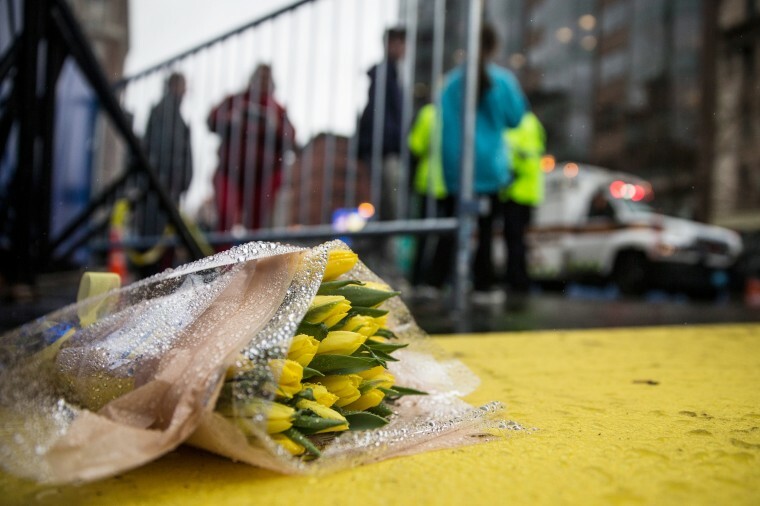 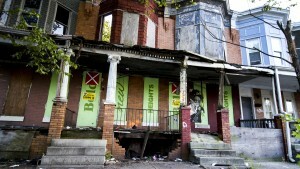 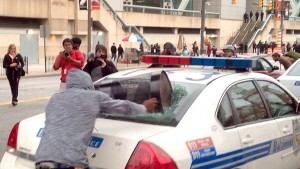 The bombs killed Martin Richard, Krystle Campbell, 29, and Chinese national Lu Lingzi, 23. 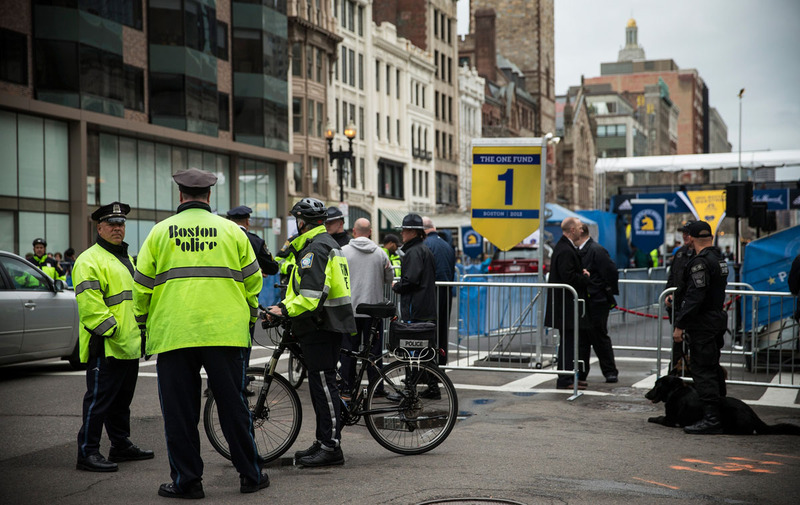 Three days after the attack, the FBI released pictures of the suspected bombers and requested the public’s help in finding them. 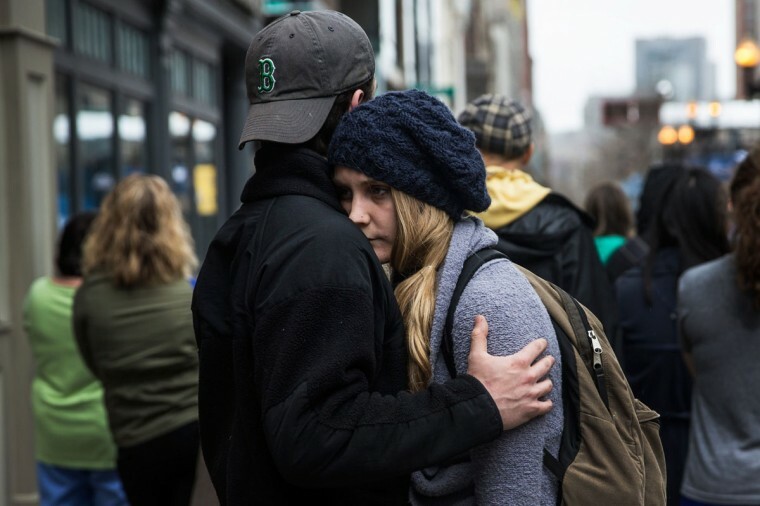 That prompted the Tsarnaev brothers to attempt a hasty flight from Boston, which began with them shooting dead Massachusetts Institute of Technology police officer Sean Collier, prosecutors said, in an unsuccessful attempt to steal his gun. 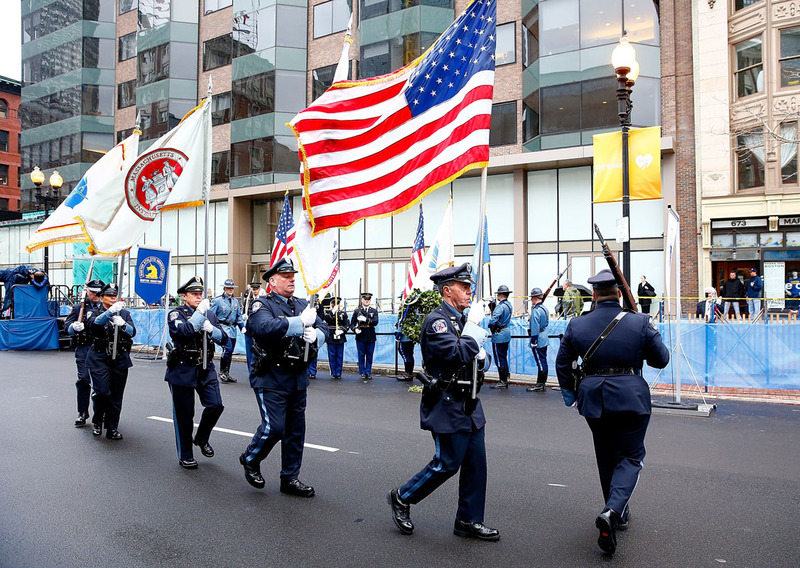 That prompted a police chase that ended in a gun battle in the Boston suburb of Watertown. Tamerlan, 26, was killed and Dzhokhar, now 20, escaped before being captured on April 19.